A dark burgundy Waterman lever filler. There's some pitting of the clip and some desk-wear to the plastic, with one small divot on the cap, so I'd call it good condition. 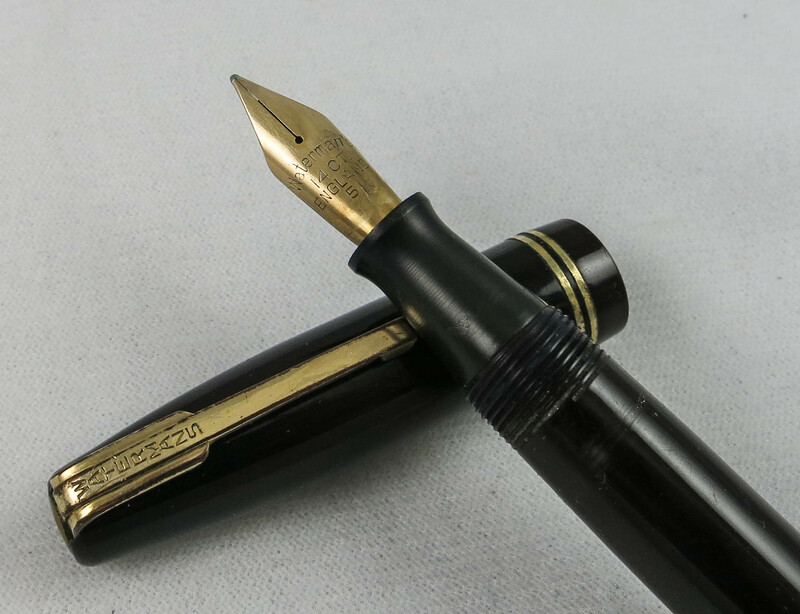 Nice 14 Ct rigid nib. An excellent choice for everyday use. 5", 128 mm.